During the 2016 campaign, Democratic nominee Hillary Clinton failed to visit several working class states that she and her staff thought were in the bag. Her schedule screamed arrogance and clearly cost her the election, but several Democrats have refused to acknowledge the mistake. Instead, Harry Reid blamed the FBI, President Obama blamed Fox News, while just about everyone else blamed it on the Russians. Interim DNC Chair Donna Brazile, however, is fortunately doing some of the introspection her party desperately needs. "I'm not going to sugercoat it. We failed. 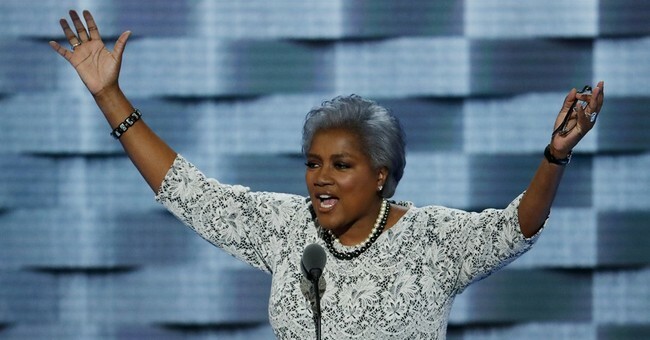 We came up short," Brazile said during introductory remarks. "We made some serious mistakes. Some strategic errors. We got cocky about our invincible blue wall and then we saw it crumble because of just a few thousand votes in Pennsylvania, Michigan and Wisconsin." Of course, Clinton's campaign could not have predicted that Pennsylvania and Wisconsin were going to go Republican for the first time since 1988. Yet, that doesn't mean they should have ignored those voters. Donald Trump took his message to these states several times. He deserves credit for those efforts.